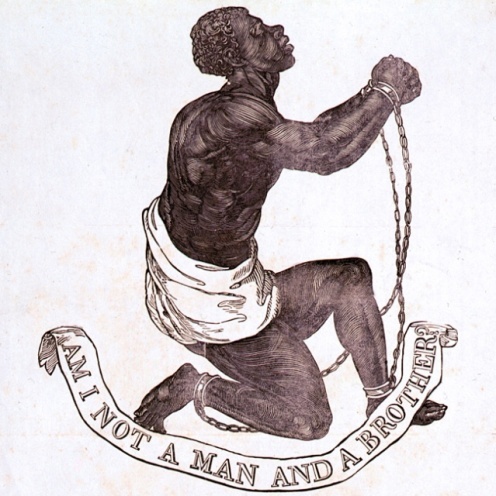 On this day, 1 August 1834, the British government declared all slaves in its colonies to be free, but they first had to spend a period of years as apprentices preparing for their freedom. 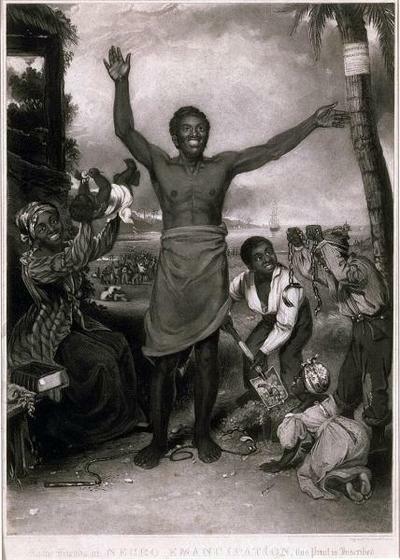 The British Parliament in July 1833 passed the Imperial Act of Emancipation, “freeing” all slaves in its colonies. It followed a number of measures that sought to end slavery gradually, following the end of the British Atlantic Slave Trade in 1807. The plantation owners protested against the proposed loss of their slave labour force, but with compensation provided by the British Parliament, and the establishment of the apprenticeship period, they grudgingly accepted that the system they had profited from was no longer acceptable. On 1 August 1834 over 23,600 slaves were freed, with plantation owners compensated for their loss of property to the sum of £616,255. The idea of compensation for the slaves for their many years of labour and undue hardships was never discussed, the feeling being that their freedom was compensation enough. This has led to the call for reparations! Emancipation took effect on 1 August 1834, with the implementation of a compulsory apprenticeship of slaves to their former owners; field slaves for the next six years and four years for all other slaves. For three-quarters of the week ex-slaves over the age of six years were required to work for their former owners without pay, but given adequate rations. For the remainder of the week they tended personal kitchen gardens from which they sold the produce, or hired out for wages. Children under six years of age were completely free, but their dependence on the estates for their rations forced most into similar situations as the apprenticed. Apprenticeship was meant to allow estate owners adequate time to adjust to the drastic changes due to the end of slavery, and help promote industry through wage employment for the slaves to prepare them for freedom. The four years of the Apprenticeship system were not as smooth a transition from slavery as envisioned. Estate owners used legal and coercive means to extract as much labour as possible from apprentices with as little remuneration as possible. Apprentices protested as best they could, but the preponderance of laws against them made their many actions futile, even dangerous. Though stipendiary magistrates were employed to safeguard the rights of the apprentices, estate owners/managers abused these rights, oftentimes with impunity. By 1838 opposition to Apprenticeship was widespread, especially as a result of the impending freedom of non-agricultural apprentices in August 1838. On 25 May 1838 the Grenada Legislature voted to end the Apprenticeship system two years prematurely for field workers, demonstrating its perceived failure. Finally, on 1 August 1838, all forced servitude within the British West Indies came to an end. The over 18,000 men, women and children who were apprenticed were finally free, but they continued dependence on wage labour on the estates meant their exploitation for another century. Emancipation Day is commemorated annually with cultural celebrations across the islands. There are no monuments to the freeing of the slaves in Grenada like there is in some of the other islands.